Research shows that these traditionally combined activities are now increasingly separated in many markets around the globe, including the U.S. Historically, the solar industry has seen operations and maintenance (O&M) as one service performed by a single provider, but data from GTM Research’s recent report, Megawatt-Scale PV O&M and Asset Management 2015-2020, shows clear signs of a separation between the ‘O’ and the ‘M’ when it comes to utility-scale solar power plants. Out of 71 O&M firms analyzed in the report, only 56 percent state that they have the same amount of megawatts under operations as under maintenance. 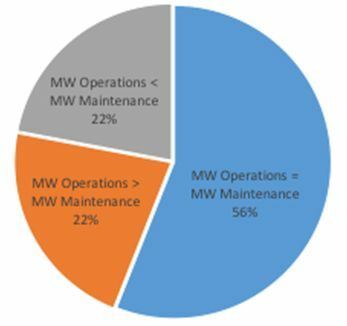 Approximately 22 percent of the firms report more megawatts under operations than under maintenance (typically 25 percent more), and a similar share report the opposite trend (typically 50 percent more megawatts under maintenance than under operations). These numbers indicate a decoupling between operations and maintenance roles on a global scale, although the phenomenon is at different stages in different countries and for different providers. The decoupling is most obvious in Germany and the U.S., as well as among inverter companies (which tend to provide more maintenance than operations). Many O&M providers subcontract part or all of the on-site maintenance activities so they can focus their internal resources on operations, but this practice alone falls short of explaining the numbers observed in the GTM Research report. Other trends allow us to better understand the dynamics of this market shift. 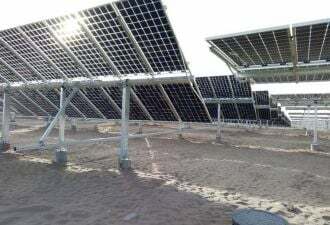 Some asset owners, especially utilities and independent power producers, may self-perform maintenance and outsource operations, or vice versa, depending on their organization’s level of comfort with PV plants. A number of independent asset managers also in-source operations management functions, leaving O&M providers to act as maintenance contractors. In addition, certain O&M firms specialize in operations and deliberately choose not to be the maintenance provider for sites they supervise, in order to ensure clear separation of duties with checks and balances. This approach is popular with certain asset owners in Europe. More importantly, operations management may require significant investment in infrastructure, staff, tools and processes, which smaller O&M firms are not able to justify. Local providers often have limited operations capabilities and do most of their business as maintenance subcontractors, an area where they can differentiate from larger companies with less overhead and more competitive labor costs. Signs of the growing split between 'O' and 'M' are also clear in the U.S., where power plants above 75 megawatts (AC) are subject to stringent North American Electric Reliability Corporation (NERC) standards for operations (and heavy fees for non-compliance). For these large-scale solar plants (and for operations centers controlling more than 1,500 megawatts-AC of capacity), the plant operator must be registered with NERC. 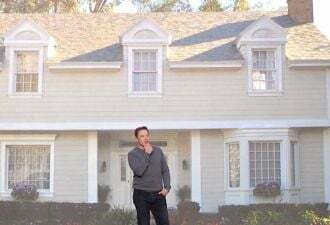 This requires a heavy investment, one measured in hundreds of thousands of dollars or more. 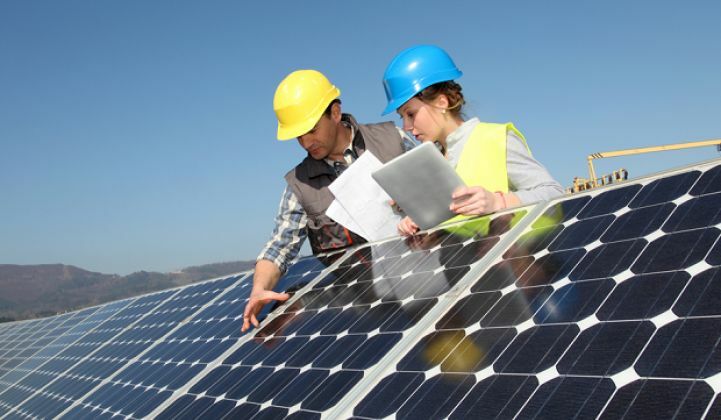 At this time, only a handful of large solar O&M providers are NERC-registered: small and mid-size O&M players firms that have insufficient resources to develop the infrastructure may have to partner with players that can provide NERC-compliant operations. With the extension of the ITC and the high forecasted growth of the U.S. megawatt-scale PV installed base, more plants and operations centers are likely to be subject to advanced utility/grid operator requirements and NERC rules. This evolution may further drive the wedge between 'O' and 'M,' unless it allows many providers to reach a scale allowing them to make the infrastructure investment. Place your bets! For more information on operations, maintenance and asset management, including market size and forecasts (updated to account for U.S. solar ITC extension), activities and strategies, market prices, cost factors, competitive landscapes, vendor services, and future outlook, please refer to the GTM Research report Megawatt-Scale PV O&M and Asset Management: Services, Markets and Competitors 2015-2020.